Super Mario Bros. 3 was the biggest release on the Nintendo Entertainment System, selling over 18 million copies. 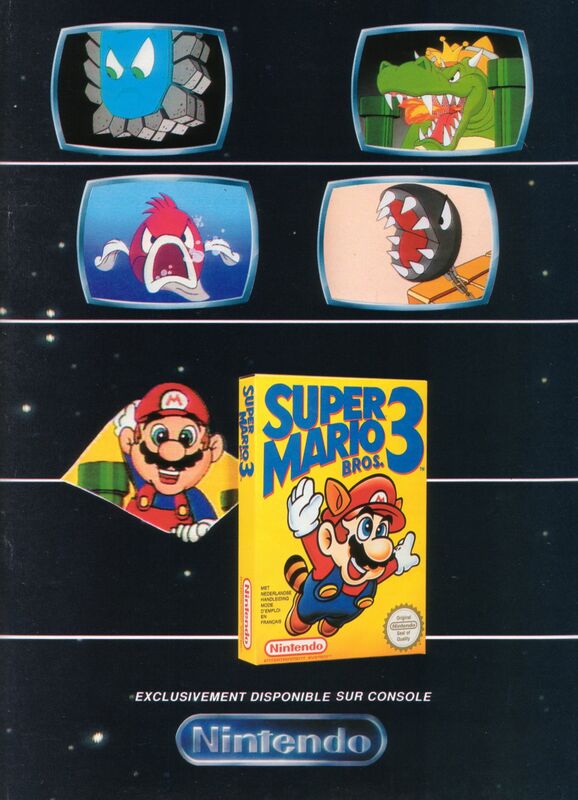 It also features Kuribo’s Shoe, which is the best goddamn power up in any Mario game. This ad is for the French release of the game.